On the hunt for more Revolutionary War ancestors after my visit to Yorktown, VA. I have now submitted two more on the White side of the family. They are George Eckert and Samuel Milliken/Milligan. Now the wait is on for the year it will take before they are reviewed by NSDAR. In the meantime, I’m trying to find a woman in my ancestry that may have assisted in the Rev. War. Always a feather in your cap if you have one of the ladies proven. 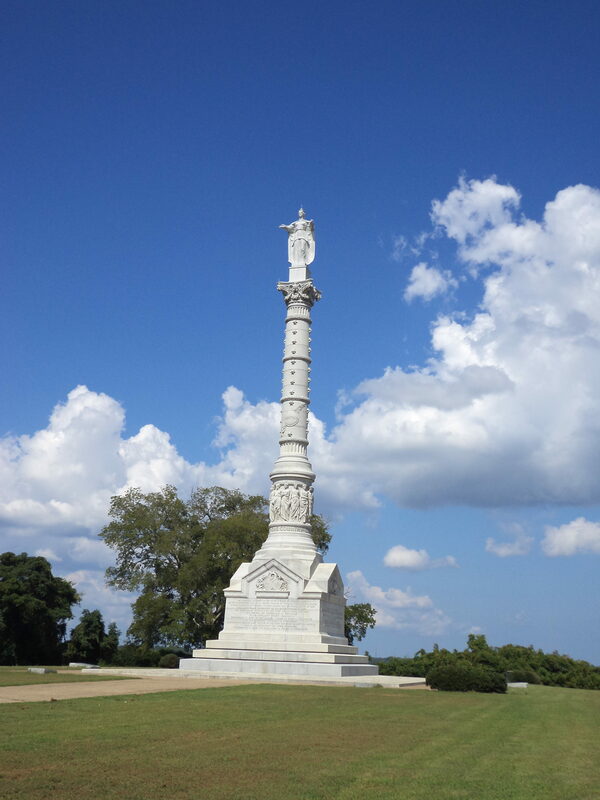 Yorktown is a wonderful place to visit. They have an American Revolution of Yorktown Museum that is worth the trip. They have an encampment that is very interesting. This includes a kitchen, medical facility, supply hut and very knowledgeable staff. Inside of the museum there are many artifacts and movies. Both are helpful in following the war. This is a State of Virginia museum. Kudos to Virginia for such a wonderful asset. The museum is designed with many areas that flow one into another and they seem to go on forever. It is truly an amazing place to visit. The battlefield at Yorktown is also very interesting. Suggestion – don’t try to drive your motorhome around the battlefield. We found a couple of areas we couldn’t access because of the bulk of this RV even though it is small by comparison to most. We saw the redoubts taken by the Patriots, the digs that the soldiers did in the middle of the night to surprise the British, the National Cemetery, the Yorktown Victory Monument, and lots of wildlife. The Moore House is especially nice. It is fully restored and historically is the home where the terms of agreement of surrender were worked out. It is not the house where the British signed the agreement. Still worth the visit if you like old homes.